Music speaks to parts of the soul that words cannot reach. On festive Sunday mornings, meditative Good Fridays and joyous Christmas events, music at St. Andrew and St. Paul proclaims the Word of God in song, complementing preaching and scripture reading. Every Sunday, our award-winning choir leads the congregation in the singing of hymns, and presents choral introits and anthems a cappella or with organ accompaniment. The Choir also presents special concerts and services throughout the season, often accompanied by an instrumental ensemble. The Church’s monumental pipe organ can be heard in preludes, postludes, hymns and choral accompaniments during church services. Outstanding local and international musicians also perform recitals here throughout the year. Some of the highlights of the Church’s musical season include the annual CBC Christmas Sing-In, a national radio broadcast recorded at The Church early each December; an annual benefit concert for the Maison du Parc, held each November in collaboration with the Montreal Symphony Players’ Association; the major choral service on Good Friday (in the recent past this has included Bach’s St. Matthew and St. John Passions, Handel’s Messiah, and Mozart, Fauré and Duruflé’s Requiems); and the Organ Intermezzi solo organ recital series. 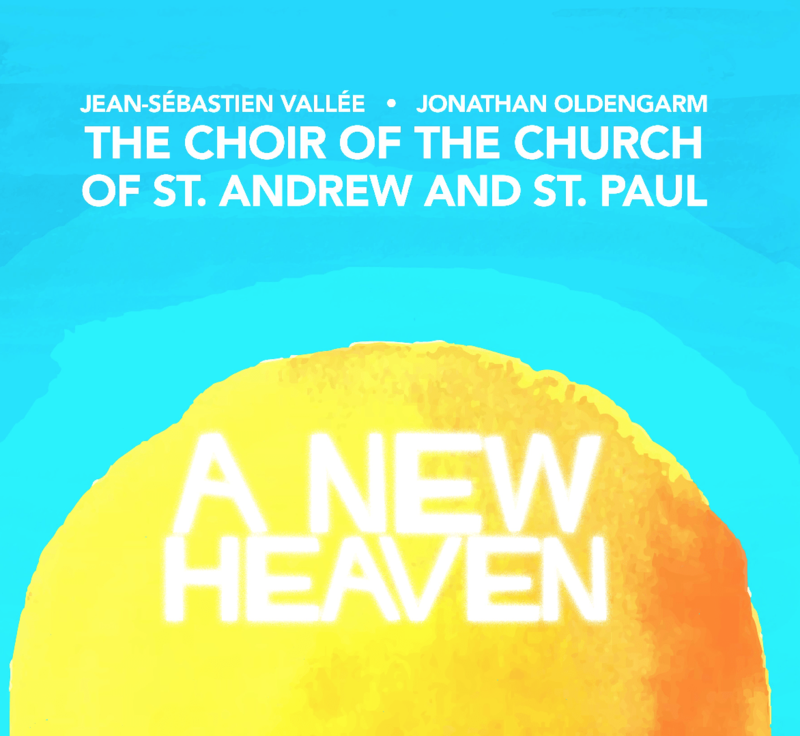 The choir and organ are also featured on the CD “A New Heaven”, issued in 2016 and available through the church office. 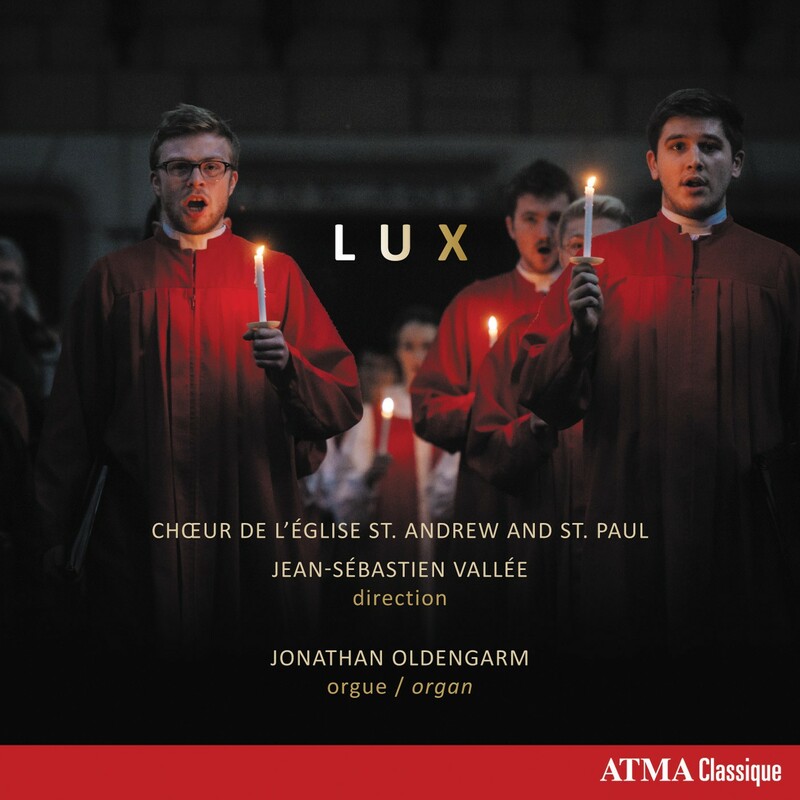 A Christmas CD, “LUX”, was launched November 17, 2017 under the label ATMA Classique. Où les mots manquent, la musique parle. Dans la célébration du dimanche, le recueillement du Vendredi saint ou la joie du temps de Noël, la musique, à l’église St. Andrew & St. Paul, complète la prédication et la lecture des évangiles en proclamant la Parole de Dieu par le chant. Tous les dimanches, notre chœur guide l’assemblée dans le chant des hymnes et propose des introïts et des chants a capella ou accompagnés à l’orgue. 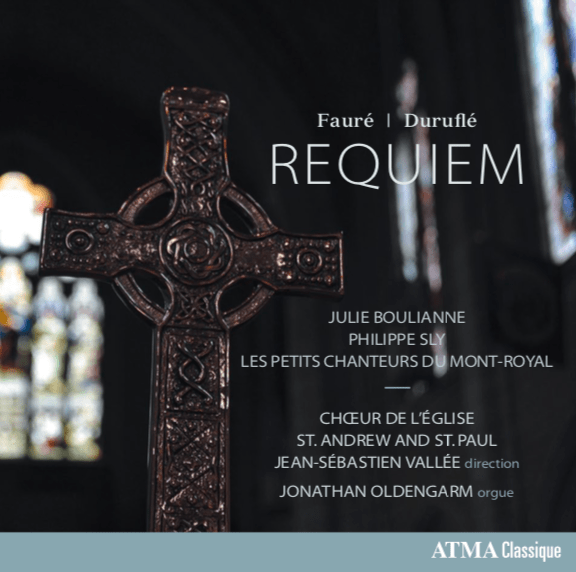 Durant l’année, le chœur se produit aussi en concert et lors de services religieux spéciaux, souvent avec ensemble instrumental. L’orgue imposant de l’église résonne pendant les services religieux dans les préludes, les postludes et les hymnes, et dans l’accompagnement des pièces chorales. Des musiciens réputés, d’ici et d’ailleurs, viennent régulièrement donner des récitals à l’église. La saison musicale de l’église comprend, entre autres, le Christmas CBC Sing-In, radiodiffusé à l’échelle nationale au début de décembre, un concert-bénéfice annuel qui se tient en novembre au profit de la Maison du Parc, en collaboration avec l’Association des musiciens de l’Orchestre symphonique de Montréal, et la présentation d’une œuvre majeure du répertoire de chant choral à l’occasion du service religieux du Vendredi saint (récemment, la Passion selon saint Matthieu et la Passion selon saint Jean, de Bach, le Messie de Handel, ainsi que les Requiem de Mozart, Fauré et Duruflé). Enfin, chaque été l’église accueille des organistes solistes dans le cadre de la série de concerts « Intermèdes à l’orgue ». Deux CD mettent en vedette le chœur et l’orgue : « A New Heaven », paru en 2016, est disponible aux bureaux administratifs de l’église, et un album de Noël, « LUX », a été lancé le 19 novembre 2017 sous étiquette ATMA Classique. 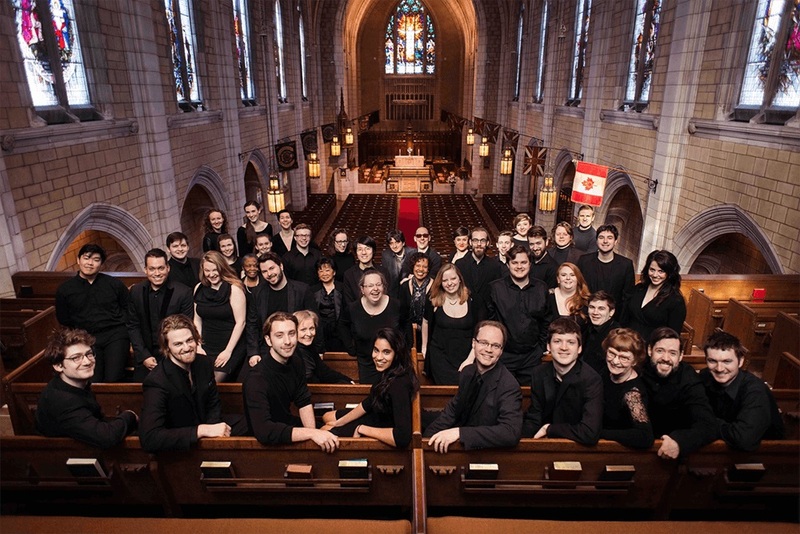 The renowned Choir of the Church of St. Andrew and St. Paul is a 45-voice ensemble that includes professional singers and auditioned members from the church and Montreal communities. In addition to providing music for the church’s regular worship services, it presents concerts and choral services throughout the year, including the annual CBC Christmas Sing-In, a benefit concert for Maison du Parc in collaboration with the Montreal Symphony Players’ Association, and the presentation of a major choral work on Good Friday. Auditions for the Choir of the Church of St. Andrew & St. Paul are held in May for the professional choristers and in August for the volunteer singers. For more information regarding the requirements and specific dates, please email the choir manager. 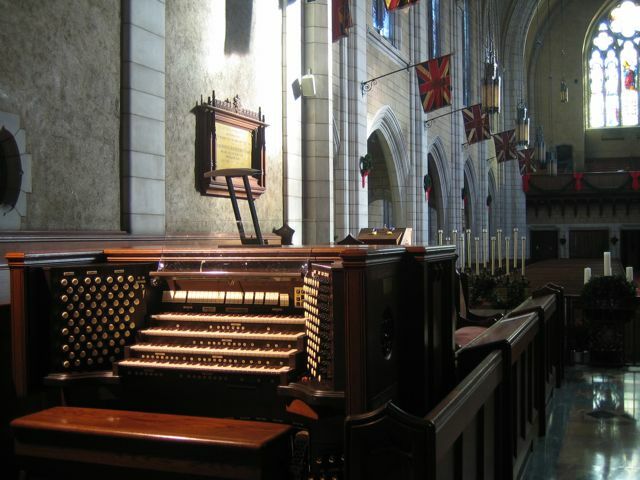 The organ of the Church of St. Andrew and St. Paul was built in 1931 by the renowned Casavant Frères of Ste. Hyacinthe, as that firm’s opus #1457. It is one of the largest instruments on the island of Montreal, containing nearly 7,000 pipes. About 70% of the pipes are located in the chancel; the other pipes speak from the rear gallery. Only the Trompette en chamade (installed in 1992) is visible, mounted prominently below the Black Watch window. The instrument was cleaned and overhauled by Casavant in 1976-77, and several stops and a new console were added by Caron, Gagnon, Baumgarten in 1992. The tonal work of these rebuilds lent the instrument a neo-baroque flavour, but was unfortunately of uneven technical and musical quality. The console was rebuilt by Casavant in 2001. A gradual tonal renovation of the organ has been ongoing since 2010, whose goal is to replace the 1970s and 1990s-era neo-classical stops with pipework of the early 20th century, of superior material and tonal quality. Like all of the Casavant instruments built between ca. 1890 and 1960, op. 1457 was conceived in the late-Romantic Anglo-American style, and remains a monumental essay in the genre. The tonal design of the instrument was conceived for the playing of orchestral transcriptions and orchestrally-inspired solo repertoire and accompaniments; the Wagnerian orchestra, with its kaleidoscopic yet seamless colour changes, was the aesthetic ideal for many organists of the period. Director of Music and Organist at St. Andrew and St. Paul since 2008, Jonathan is a sought-after soloist, continuo player, arranger, accompanist and improviser, whose innovative interpretations are informed by historical research. He has a passion for bringing great sacred music and hymnody to life within Christian worship, its native context. Choral accompanying and transcription in the early 20th-century Anglo-American orchestral tradition is a particular interest, given St. Andrew and St. Paul's magnificent 110-stop 1931 Casavant organ. 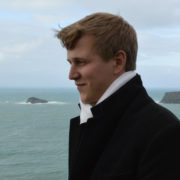 Jonathan is a prizewinner of the RCCO National Competition, as well as the International Organ Competitions of Calgary, Dublin and Montreal; he also holds the FRCCO diploma, degrees in organ and harpsichord performance from Wilfrid Laurier and McGill Universities, and studied at the Hochschule für Musik in Stuttgart, Germany. His discography includes two independent releases (Christ Church Cathedral, Victoria, BC; and the Weimbs organ in Zell, Germany), as well as recordings with Les Petits Chanteurs du Mont-Royal and the Choir of the Church of St. Andrew and St. Paul on the ATMA label. Recent performance highlights include the Maison symphonique, Notre Dame Basilica and St Joseph Oratory (Montreal); the Montreal and Thunder Bay Symphonies, l'Ensemble Caprice and the McGill Chamber Orchestra; the MSO Chorus; Antwerp Cathedral, Belgium; the Grote Kerk, Vlissingen, the Castle Church, Wittenberg, Germany, and the St Augustinuskerk, Amsterdam, the Netherlands; the Pro Organo series, Ottawa, ON; and the 2008, 2009, 2014 and 2017 RCCO National Conventions. Maestro Jean-Sébastien Vallée is a rapidly rising conductor on today’s concert music stage and an internationally recognized scholar, and pedagogue. 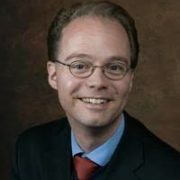 Dr. Vallée is Director of Choral Studies and Chair of the Conducting Area at the Schulich School of Music of McGill University in Montréal. Prior to his appointment at McGill University, he served as Director of Choral Studies at California State University in Los Angeles, and was on the choral faculty of the University of Redlands. Ensembles under his direction have sung for the American Choral Directors Association and California Music Educators Conferences, and were awarded first and second places at the San Luis Obispo International Choral Competition in 2011. In 2015, Maestro Vallée was the runner-up for the American Prize in Choral Conducting. 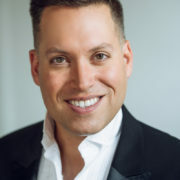 Jean-Sébastien Vallée holds degrees from Laval University, Sherbrooke University, the University of California, Santa Cruz, and a doctorate in conducting from the University of Illinois Urbana-Champaign. A native of Michigan, Adam Wills Begley is a DMus student at McGill University, where he studies with Jean-Sébastien Vallée. For the past two years, Adam served as Director of Choirs at Our Lady and the English Martyrs (U.K.), and conducted the Chapel Choir of Downing College, Cambridge. Adam’s MMus studies at the University of Cambridge were supervised by Christopher Robinson CBE. Prior to his work in England, Adam earned a MMus in Conducting at the University of Michigan, where he studied with Jerry Blackstone. From 2014-2016, Adam was Director of Music at West Side United Methodist Church, Ann Arbor. An active ensemble singer and soloist, Adam was a member of the Grammy Award-winning University of Michigan Chamber Choir and Choral Scholar at St Martin-in-the-Fields, London. Prior to his studies at Michigan, Adam earned a BA with distinction at Yale University, where he served as music director of the vocal jazz group Redhot & Blue. As assistant conductor of the Yale Whiffenpoofs, America’s oldest collegiate a cappella group, Adam led performances in over twenty-six countries and on five continents. 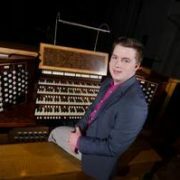 Matthew Johnson of Issaquah, Washington, studies organ performance with Hans-Ola Ericsson and Christian Lane at McGill University, previously training under Joseph Adam in Seattle, WA. From 2012-2017, Matthew held the Organ Scholar position at St. James’ Cathedral in Seattle. Throughout his young career, Matthew has won several awards, including the Fine Arts Award in Organ at the Interlochen Center for the Arts (2015). In 2016, Matthew was one of nine organists from around the world chosen for the “Young Talent” Award at the International Organ Festival in Haarlem, the Netherlands. In 2016 and 2017 he was one of six organists chosen to participate in the Philadelphia Summer Organ Institute at the Curtis Institute of Music. In May 2018, Matthew was a finalist in the Lynwood-Farnam Organ Competition (Montréal). William Duffy is a California-born, Montréal-based countertenor and conductor. William first encountered music as a young Suzuki violinist, though he often faced stern disapproval from his teacher for improvising alternative endings to classic violin repertoire. This propensity for variation persisted, and re-directed his musical focus towards piano, singing, conducting, and teaching. William appears frequently as an early music soloist in Canada, most notably with Clavecin en Concert led by Luc Beauséjour (Montréal), and Theatre of Early Music conducted by Daniel Taylor (Toronto). William’s upcoming engagements include performances of David Lang’s Little Match Girl Passion and J.S. Bach’s Markus-passion with the Church of St. Andrew & St. Paul (Montréal). As an educator, William has worked with choirs of all types, including the San Francisco-based Chanticleer Skills/LAB Choir, the award-winning Cantabella Children’s Chorus, and the Schulich Singers. 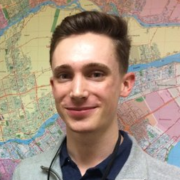 William currently studies choral conducting at McGill University with Dr. Jean-Sébastien Vallée. Known for her lush voice, dramatic artistry, and flexibility among many different genres of music, soprano Stephanie Manias is a frequent performer in the greater Montréal area. She is heard regularly as a soloist and chorister in some of Canada's most celebrated ensembles, such as Studio de Musique Ancienne de Montreal (SMAM), Orchestre Symphonique de Montréal (OSM), and La Chapelle de Québec with Les Violons du Roy. A member of the choir of the Church of St Andrew and St Paul for over ten years, Stephanie has held the position of Head Chorister since 2016. She has been a featured soloist in A&P’s productions of major masterworks by Bach, Handel and Mozart, as well as in its annual CBC Christmas Sing-In. 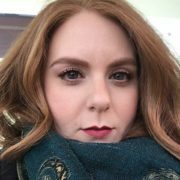 Originally from London, Ontario, Stephanie is a graduate of the Voice Performance program at the Schulich School of Music at McGill University, where she studied with Canadian soprano Joanne Kolomyjec. Wayne Riddell has been described by music critics as "a choral trainer of genius". The founder and former director of the Tudor Singers of Montreal, Mr. Riddell has established a reputation as one of Canada's distinguished musicians who instills in those who sing under his direction a consistent sense of ensemble and musicality which have been hailed by the most demanding of audiences and charmed the most difficult critics. His drive, personal discipline and sense of humour are reflected in the respect and devotion of all who have worked with him, whether artist or support staff. Mr. Riddell and the Tudor Singers have toured from coast to coast in Canada many times, as well as concertizing extensively in Europe and the United States. The choir has been frequently broadcast on the C.B.C. and has several recordings to its credit. Mr. Riddell is a graduate of McGill University where he also served for a number of years as Director of Choral Music Activities. He also studied in West Germany as a guest of that country's government. In 1980 the choir was awarded the first Healey Willan Prize by the Canada Council. He was chorus master of the Montreal Symphony and has been invited as guest conductor of that and other orchestras. Mr. Riddell is in constant demand as an adjudicator, workshop leader and guest conductor with many of Canada's leading choirs and orchestras. In addition, Mr. Riddell maintains an active performing and conducting career abroad. In July 1988, Wayne Riddell was named a member of the "Order of Canada" in recognition of this outstanding contribution to choral music. In May 1992 he was honoured with the "Distinguished Service Award" from the Association of Canadian Choral Conductors. Maundy Thursday: April 18, 2019, at 6:00 p.m.
Good Friday, April 19 at 11:00 a.m.